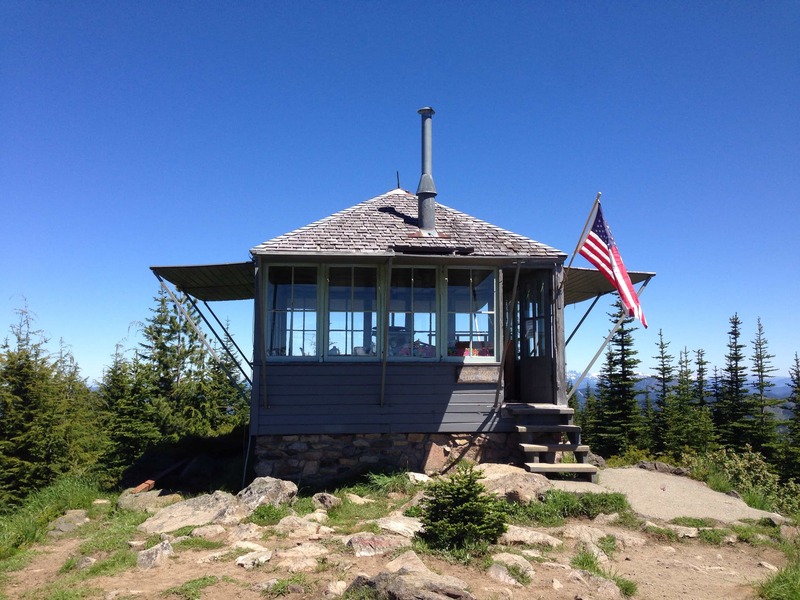 Fremont fire lookout, exterior view. Special Containment Procedures: The staff of Temporary Observation Post 3333 are to monitor SCP-3333 for signs of activity and deter civilian trespass. The trapdoor leading to SCP-3333 is to remain shut and locked when not in use. Any sounds originating from the other side of the trapdoor should be ignored. Description: SCP-3333 is a spatial anomaly located within the Fremont fire lookout, located in Mt. Rainier National Park, Washington State, United States of America. SCP-3333 is accessible via a trapdoor and collapsible ladder on the ceiling of the Fremont lookout. Climbing the ladder leads to an identical copy of the Fremont fire lookout, including the walkway and railing that surrounds the back half of the lookout. This identical copy has an identical ladder and trapdoor pair, which leads to further copies of the Fremont lookout. SCP-3333, iteration 4. Entrance to the fifth iteration is located in the top right corner. Note the absence of vegetation in the background. The topology surrounding SCP-3333 is identical to that surrounding the Fremont lookout. However, no plant, animal, or human life has been observed. Each level of SCP-3333 is higher off the ground compared to its previous iteration. The stairs leading up to the walkway on these SCP-3333 iterations are extended by a proportional amount to allow access to the ground. SCP-3333 was first discovered after restoration of the Fremont lookout following volcanic activity near Mount Rainier. 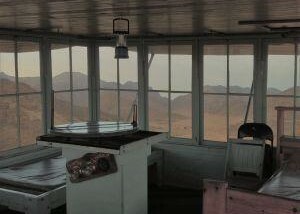 SCP-3333's origins are not known: no members of the parks service involved in the restoration of the lookout were responsible for construction of the entrance to SCP-3333. At the time of discovery, the trapdoor to SCP-3333 was padlocked. In order to access SCP-3333, the trapdoor was forced open. No key has been found.